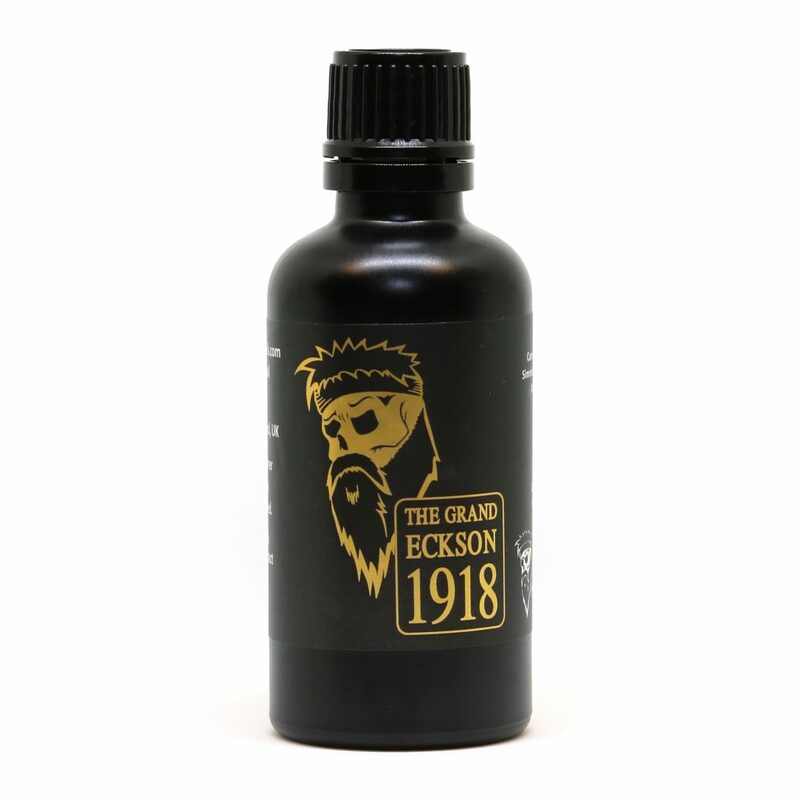 You may have wondered how I managed to come up with an obscure name like The Grand Eckson 1918 for a beard oil? Why did I choose Remembrance Day to explain? There is a connection, to be honest any day is a good day to explain it but it just feels right on the 11th November. The Grand Eckson 1918 is named after someone very important to me. Alex (Eck) Jackson was born in a farm cottage on a small holding near Ancrum a village in the Scottish Borders in 1918. He left school at fourteen years old and started working on farms until he was called up for army duty in September 1939 when he joined The Lothians and Border Horse Yeomanry and served almost seven years as a Corporal. He was demobbed after the second world war and continued to work on the Scottish Border farms. He met and married his wife Anne in 1951. Eventually in 1966 he took employment as a heavy goods vehicle driver with a company based in Musselburgh. He soon earned a reputation as ‘the best driver’ and admired by his workmates. Alex became a retired pensioner. He coped with this role for one week only then returned to work in all aspects of labour. It would be fair to say Alex never retired. 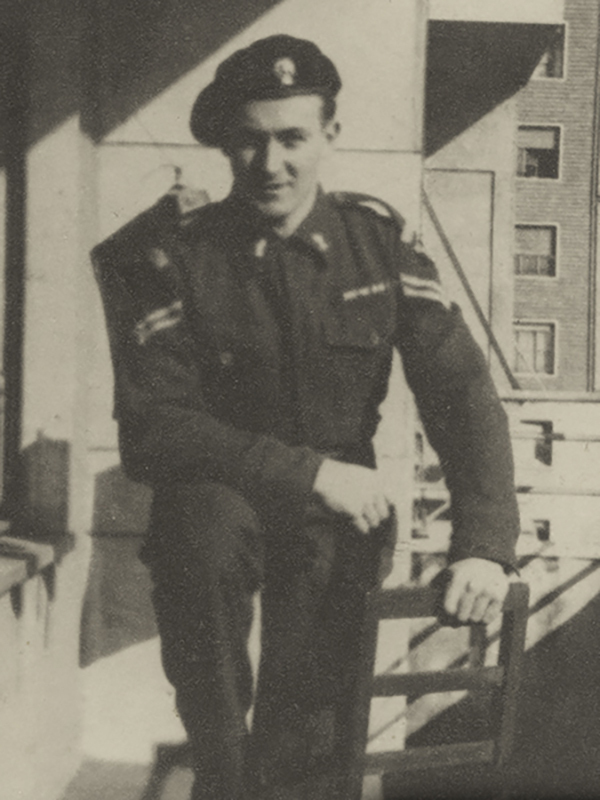 During his time with the Lothians and Border Horse Yeomanry for him the second world war experience was mixed, as you could imagine the horrors he witnessed cannot be spoken about or repeated. Alex and his regiment were involved in ten major battles and many vicious skirmishes along the way but he did admit to missing the company after being demobbed. Through time many of his surviving comrades also missed the company so a Lothians and Border veterans organisation was formed which helped the survivors cope with their war experiences. They all kept in touch with each other locally and abroad but members dwindled over the passing years. This organisation still exists but now with Alex’s passing means that his comrade and long time pal George, a tank driver is the sole survivor. In 2010 Alex was invited to an Italian Town called Narni to receive honorary citizenship on behalf of his regiment who liberated the town from the German occupation. On arrival at Narni he was treated as a hero with the locals demonstrating much appreciation. Again mutual respect developed between Alex and his regiment’s superiors especially Colonel Simpson, in Alex’s words a man who knew how to command a battle and gaining confidence from him showing no fear. Colonel Simpson’s family still keep in touch with the Jackson family to this day. A local historian commented recently during the seventieth war anniversary that Alex was a true veteran, meaning he served the full duration of the war. A great feat. What mattered most to Alex throughout his married life was his family and friends. His friends too many to mention had an age range from young to very old. He embraced any person he met, and found it easy to connect with anybody and their hobbies or interests which is quite unique . Alex had three children, eight grandchildren and fourteen great grand children who all had an unbelievable amount of love, admiration and respect for him. Alex will never realise the inspiration he gave to people who knew him. He helped teach me how to drive, ride a bike, fish, take care of myself and be a gentleman. Guthrie from Hawick. This pastime continued by visiting the Isle of Man TT races, which is a family connection I mentioned in the Isle of Man TT Game post. died which demonstrates his willpower, strength and attitude towards living. He never returned home from Musselburgh. He died without pain. 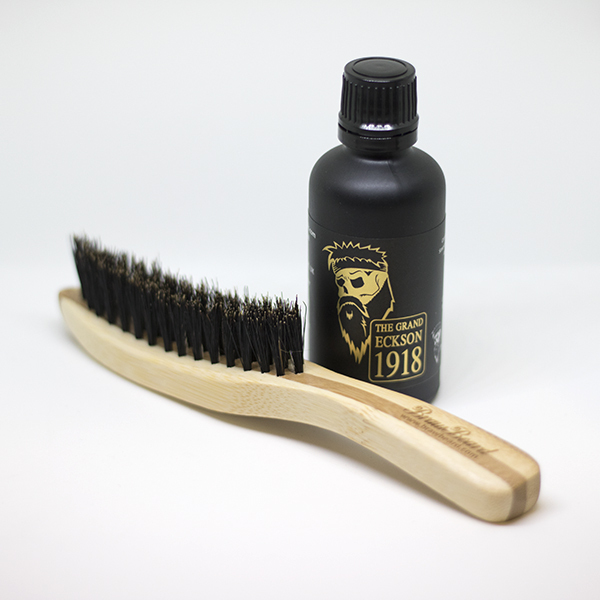 The Black Series wasn’t a ‘thing’ yet, but I had just created a new Braw Beard oil that was ready for release. Eck Jackson is my Grandad, so when he passed I wanted to continue something in his memory. Because I am Eck’s Grandson and he was born in 1918, The Grand Eckson 1918 made perfect sense. This would be the first entry into The Black Series. Every 11th of November, Remembrance Day, my family and I would visit a memorial with Alex and Anne to remember the fallen and pay our respects, we still do. Although sadly we are without Eck, we remember him now too. 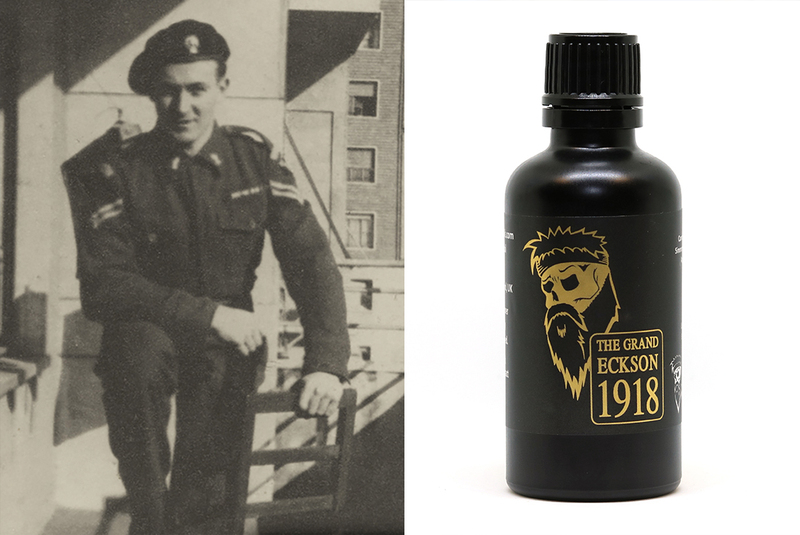 That is the story of how The Grand Eckson 1918 beard oil got it’s name, through true inspiration. I am just glad I could make something to remember him by, that people worldwide enjoy and use daily with pride. I hope I’ve done him proud. Thank you for reading this on Remembrance Day. If you have any questions, feel free to leave them in the comments below and I’ll try to answer them. The crash that started the Braw Beard movement.